A House for £1, or a Home for £1? 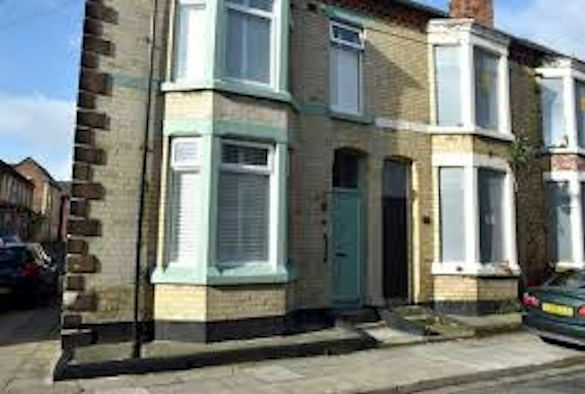 The Liverpool ‘Homes for £1’ scheme has been one of the most publicised urban initiatives of recent years. Despite similar previous initiatives in other places and the relatively small number of houses released for renovation through the initiative, it has attracted national and even international attention, being covered for example by national television and newspapers elsewhere in Europe. Local politicians and planners from other countries have even beaten a path to Liverpool to learn about the scheme, which has been adopted elsewhere such as the northern French city of Roubaix. It was therefore perhaps only a matter of time before the scheme was given its own dedicated television series. But what can be learned from the “Homes for a Pound” scheme in the contemporary context of a wider current context of housing pressure and competing political agendas and crises? One of the important things to consider is the ‘backstory’ to how the homes featured in the programme became vacant in the first place. This was partly a result of falling demand for such homes in the area, but mainly due to direct policy intervention which saw the homes in the area featured in the programme – the ‘Webster Triangle’ being acquired by the local authority in preparation for demolition and the building of new housing on the site. This was undertaken under a national initiative which operated in the 2000s and sought to ‘renew’ housing markets in places where these were perceived to be ‘failing’, or only weakly operating, due to low demand. This so-called ‘Housing Market Renewal Initiative saw housing not just as something physical to be lived in, but also as a key factor in enhancing the economy and attractiveness of places. This became associated with a view that certain types of housing – such as that featured in the programmes was in many cases no longer attractive, especially to an ‘aspirational population’. Such (many argued muddled) thinking led to the earmarking of large areas of housing in cities like Liverpool for demolition and rebuilding. These were principally streets of pre-1919 terraced housing such as that featured in the programme – housing which often commands a premium in other cities and indeed in other parts of Liverpool. The scheme’s plans for demolition and rebuilding divided opinion in local communities and amongst housing and planning experts, and long running costly battles were fought against demolition in areas not far from the ‘Webster Triangle’ including around Edge Lane and in the Welsh Streets area. Meanwhile around the same time other, often community-led approaches, were also emerging to offer an alternative to wholesale demolition and rebuilding – again close-by such as in the Granby Four Streets area. Such examples and the cancellation of funding for the HMRI scheme by the Coalition Government in 2010 provided the context for more creative thinking and space for the ‘Homes for a Pound’ initiative to be tried. But how does it differ from the previous approaches and what kind of contribution might such schemes make to addressing overall housing issues in different contexts? One of the differences is in the way that risk is distributed. In contrast with single private developer approach such as that now being used in the nearby Welsh Streets, or a more collective model as in the Granby Four Streets Community Land Trust, a large amount of the risk of the scheme is shouldered by those individual future residents who sign-up to it. In fact the scheme might more properly have been titled ‘Houses for a Pound’, as the creation of homes from the properties transferred was always going to involve rather more financial outlay and complexity. This is no doubt why some of those residents who featured in the programme were shown to be so anxious at the overall progress of the scheme and the overall prospects for the renewal of the area – having sunk life’s savings, or money borrowed from family members, into the renovation of their houses. An additional dimension was the stipulation that the restoration had to be completed within one year, placing additional time and financial pressures on participants. Additional uncertainty also emerged as a legacy of the earlier plans for the area, leading to delays in releasing some houses to scheme participants as a result of previous contractual agreements with the Homes and Communities Agency. The ‘Homes for a Pound’ model thus creates finely balanced relationships between individual and collective, risks, responsibilities and rewards. It is based on a collective interest in seeing neighbourhood renewal and strengthened community liveability and cohesion. This justifies the transfer to private individuals, and effective write-down, of publically owned assets. The prospect of a house for £1 is an enticing offer – as one person featured in the programme remarked “I used to pay £1.50 for a salad every day – this is much better than a salad.” But unlike a salad, the £1 house comes with a set of assumptions, and ongoing requirements and responsibilities attached to it – for example, the aforementioned need to renovate the property within one year and certain post-renovation residency conditions. It is notable that it has been reported that 477 people who entered the process and were found not to be eligible. Then there are inevitably questions about the scale of such schemes and how much they can contribute overall to addressing issues of housing need within a suite of other approaches – Homes for a Pound covers only 2% of the city’s vacant housing stock. Added to this there is the complexity of neighbourhood renewal as a wider process, especially when funding for the wider place-based/area-based initiatives which can set a context for such initiatives is less available than in the past. There is instead a hope/expectation that significant neighbourhood change can be generated physical transformations of small numbers of individual properties. Finally, there was a further risk in the decision to allow programme makers to have access to those administering and participating in the scheme. There was some concern locally that the dramatic tone the programme used at times to portray social conditions in the area was over simplistic and did not reflect the reality of community life there. Similarly, in a short three part format the programme could only offer a limited portrayal of the full range of issues and experiences involved in the scheme. In the final analysis the Houses/Homes for a Pound scheme is far from unique in running into many of the issues that are often encountered when pursuing housing and urban renewal in areas which have experienced significant change and previous policy failure. Perhaps greater contextualisation by the programme makers could have pointed this out. But they are in the business of blending entertainment, the telling of a compelling story, and societal reporting – an enterprise which carries with it responsibilities and stresses of a different order to those borne by those administering and living through neighbourhood change. The story of Liverpool’s Homes for a Pound, and of the people who are part of it, began long before the cameras arrived, and continues now they have gone. Good article. I hope Channel 4 go back and do a follow up show, or even series, where they also look at the wider housing issues Liverpool and other cities have experienced. An example that springs to mind is that of L4/L5 where whole streets were put into managed decline (by the council to get European money as far as I can tell) with houses then compulsory purchased at a value less than it would cost to buy a similar or better property – even in the same area – with ensuing struggles by residents, some forced to borrow (more) money when they wouldn’t have otherwise needed to. Dear Steven, Thanks for you comment. It would be good if there was a follow-up series. The situation in L4/L5 is also a very ‘good’ one (in the sense of being relevant). It wasn’t European money though as until the 2008 crisis ERDF (EU regional funds) could not be used for housing. The Housing Market Renewal Programme was a national UK (in fact England) initiative. It was indfeed hard to be CPO-ed out of a property when you had almost finished – or in some cases finished, paying it off only to have to borrow again to get a similar property. Another thing that happened in some cases is that those who were CPO-ed found their homes later included in the Homes for a Pound scheme. This raises all kinds of issues!